The change of season means male crickets are on the hunt for a mate — and that search could wind up inside your house. Check out these tips from "The Bug Guy" Mike Raupp for keeping the crickets out. WASHINGTON — With summer gone, male crickets will turn their attention to finding lady crickets and that search could end up in your home. 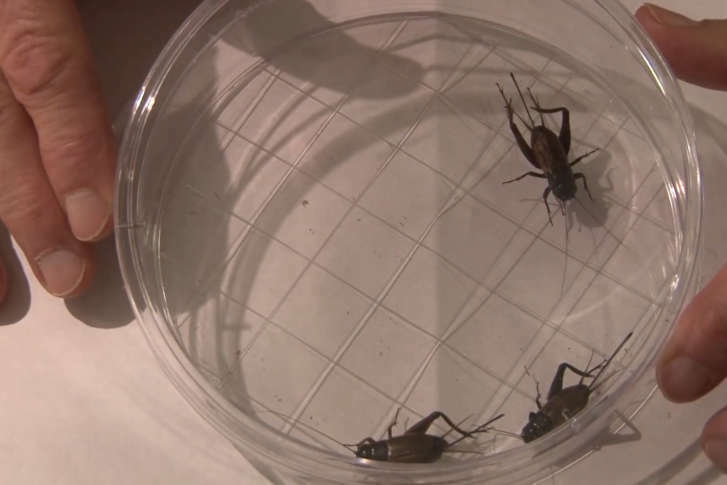 One of the most common types of crickets found in homes in the D.C. area is the black field cricket. “The Bug Guy” Mike Raupp, an entomologist at the University of Maryland, calls this species the troubadour downstairs. “The males are gonna sing their hearts out,” Raupp said. The cave cricket or camel cricket is also a species which become common unwanted house guests. “They love man caves, down in the basement where it is a little bit dark and a little bit damp,” Raupp said. Crickets don’t bite but Raupp said between their songs and their hunger for organic matter, such as stored clothing, the bugs can be a nuisance. To keep the bugs from entering your home in the first place, Raupp recommends making sure windows and doors are properly sealed. Also, one of the most common entrance techniques for crickets is doors and windows which are left cracked open. To remove the chirping invaders, Raupp said you should try a catch-and-release technique. “Scoop him up, put him in a cup and take him back outside so he can actually find the cricket babe of his choice,” Raupp said. The bugs can be hard to catch, especially the cave cricket which can jump up to 13 inches. Raupp said another effective way to rid your home of crickets, is placing glue traps out and disposing of the bugs once they get stuck.